The after school Spanish enrichment class at my son's school is going well! Setting foot in the classroom has reminded me how rewarding it is to teach children. Diego is encouraging and the rest of the kids have been really interested in everything and anything I present to them on Wednesdays. Of course, they love playing games! 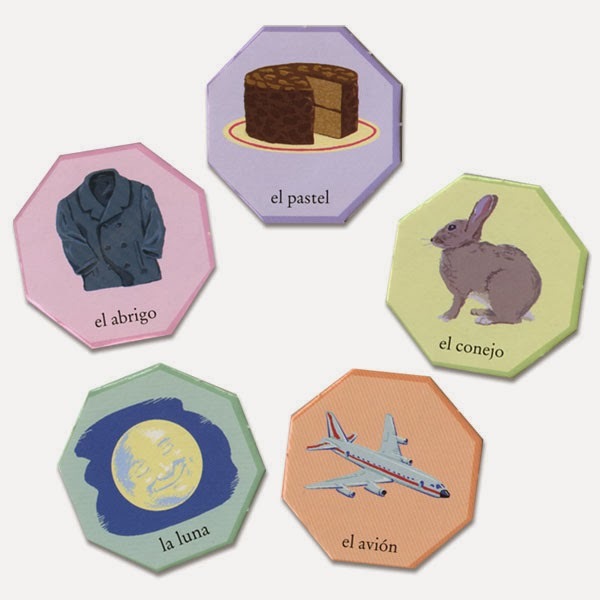 After a session of conversation, reading and writing practice, we have played several different things, but eeBoo's Spanish Bingo, has been their favorite! The game includes 6 game boards and I have paired children to work together. I love that this game of bingo does not have any English words anywhere. The kids, who do know how to read, have to carefully listen to me and look for the Spanish word on their board. The boards all have a specific theme, so the children only have to focus on either articles of clothing, nature, colors, food, vehicles or animals at a time. There are 48 tiles, which allows the kids to hear a good amount of vocabulary before a winner is declared. The game boards and tiles are sturdy. 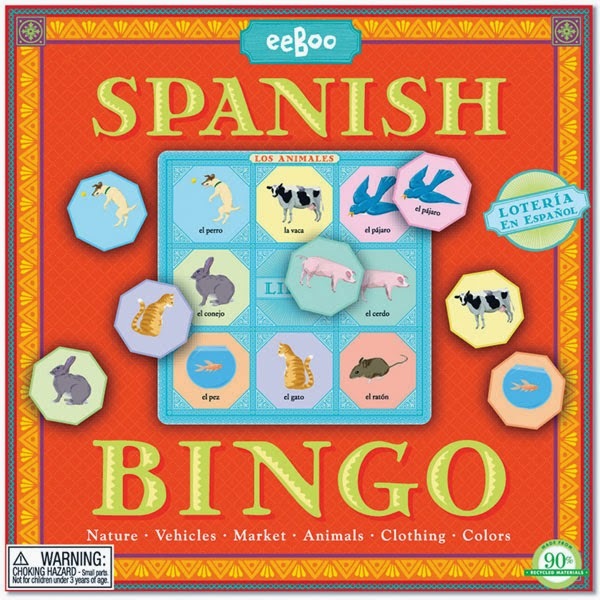 eeBoo's Spanish Bingo has already endured four years in our house of very boisterous boys (and an abuelita who loves to play)! The children at the enrichment program have been very gentle with the game and even decided the winner should put all the tiles back in the gorgeous cloth bag that comes with it! No doubt that the more children hear vocabulary in Spanish and practice repetition, it will foster confidence. Their ability to start speaking a new language can only come from mastering basic vocabulary. For non-native speakers like my students, it's great to try games like this Spanish Bingo, because it also makes learning so much more fun! 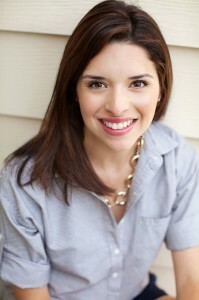 at My Friend Betty Says... She is a teacher and mother to three fun little boys.